Hillary Clinton directly responded late Tuesday to Donald Trump's recent use of a vulgar term to describe her, telling the Des Moines Register that she "deplores" the tone of GOP frontrunner but is no longer surprised by his insults. "I really deplore the tone of his campaign, the inflammatory rhetoric that he is using to divide people, and his going after groups of people with hateful, incendiary rhetoric," she said in an interview. "Nothing really surprises me anymore. I don’t know that he has any boundaries at all. His bigotry, his bluster, his bullying have become his campaign. And he has to keep sort of upping the stakes and going even further." Clinton wouldn't say whether he believes Trump has targeted her with offensive language because she is a woman. "I don’t respond to him personally, because he thrives on that kind of exchange,” she said in the interview. “I think he has to answer for what he says, and I assume that others will make the larger point about his language. It’s not the first time he’s demonstrated a penchant for sexism. Again, I’m not sure anybody’s surprised that he keeps pushing the envelope." The GOP frontrunner blasted Clinton in a tweet early Wednesday, accusing her of playing the "women being degraded card" and suggesting that a recent campaign trail moment - when Clinton offered comfort to a young girl with asthma who had been bullied at school - was staged. 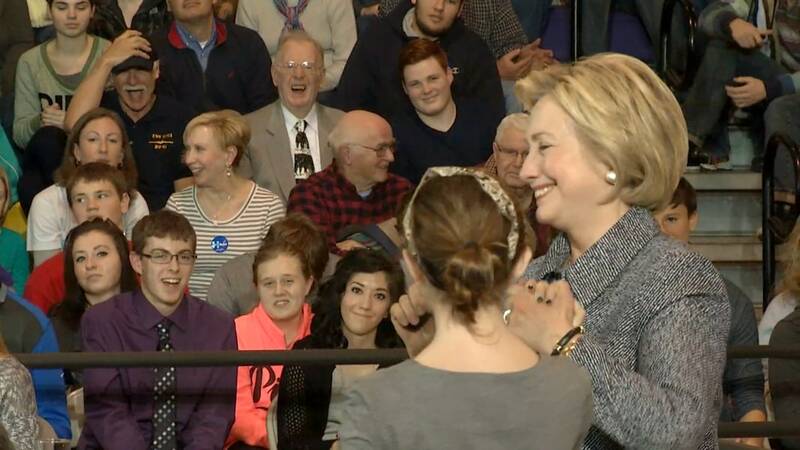 The Hillary Clinton staged event yesterday was pathetic. Be careful Hillary as you play the war on women or women being degraded card. At a rally on Monday, Trump told a laughing crowd that Clinton was "got schlonged" in the 2008 election, using language widely derided as sexist. "Even her race to Obama [in 2008], she was gonna beat Obama," Trump said. "I don't know who would be worse, I don't know. How does it get worse? But she was gonna beat — she was favored to win — and she got schlonged. She lost." On Tuesday night, he tweeted that the word he used was "not vulgar." The Des Moines Register interview was Clinton's first direct response to Trump's comments. Earlier Tuesday, Clinton's top communications aide called Trump's language "degrading" but said the campaign is "not responding" to the controversy. 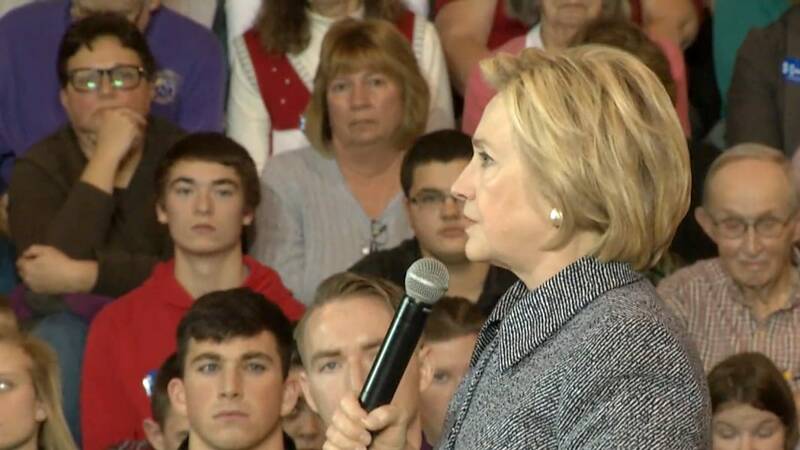 Clinton also appeared to allude to the remarks at a rally Tuesday night, when a young girl with asthma asked her for advice about responding to bullies. "You're looking at somebody who's had a lot of terrible things said about me," she said. "I'm old enough that it doesn't particularly bother me but I can't imagine what it's like to be, you know, a young person in today's world where that's coming at you all the time." In what appeared to be a more direct reference to Trump — though still without mentioning him by name — Clinton also said: "We shouldn't let anybody bully his way into the presidency because that is not who we are as Americans."